New York is a burst of gold, garnet, and soft brown hues when the leaves change in autumn. Pumpkins pop out from their patches. Apple trees hang heavy with fruit, and you can smell their essence in the air. Pick-your-own orchards welcome visitors as do tasting rooms for a sip of what could be the official beverage of New York State – hard cider. New York is synonymous with apples. 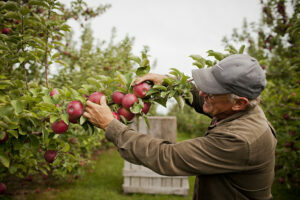 It is the top cider producer and second largest apple producer in the nation with more than 700 growers. The Hudson Valley is the hub of cider making followed by the Finger Lakes and Western New York. Even college students can get in on the action: Cornell University in Ithaca has a program dedicated to the research, science, and production of hard cider. Hard cider is the “adult” form of apple juice that is created after it ferments. Its production process resembles that of wine: harvesting the fruit, sorting, pressing, and fermenting the juice. 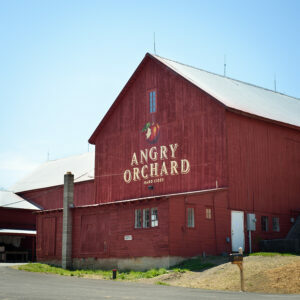 Native New Yorker Ryan Burke grew up working in apple orchards and is Head Cider Maker at Angry Orchard, the nation’s largest producer, located in Walden. 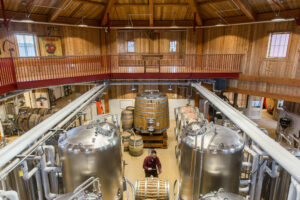 The cidery is located in a stately red barn surrounded by orchards. Here, visitors can learn about the cider making and taste different styles. Many are experimental and only available in the tasting room. Following a spectacular sunset this summer, I was fortunate to enjoy one of their auspicious four-course dinner-with-cider pairings events, overlooking the famed orchard. Depending on the fermentation process, some ciders can be lightly effervescent and others, still. 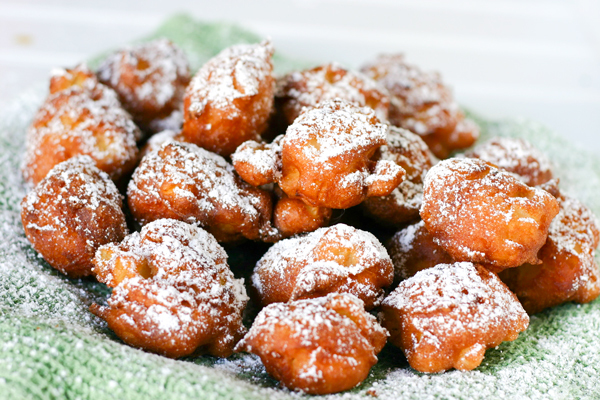 Styles can range from bone dry all the way to sweet, and even to a tad sour. Some are barrel-aged to add more complexity. Ciders can be made from other fruits such as pears, cherries and blueberries, but apples are the benchmark. The commonality amongst hard ciders is that they are lower in alcohol by volume (ABV) when compared to wine. They average between two and eight percent versus twelve to sixteen percent for wine, and additionally, are gluten-free and low in carbohydrates. Ciders can be filtered or unfiltered; some may contain sulfites, like many wines, to preserve freshness and prevent oxidation. Hard cider, like wine, can reflect the geographic region, soil and climate where the apples are grown; aka the terroir. Unlike the sweeter apples we enjoy eating or baking in pies, traditional cider apples are bittersweet with higher levels of acid and tannins. When fermented, the apple juice adds color, texture and roundness to the cider. There are many types of cider apples, such as the French varietals from Normandy and Brittany used at Angry Orchard: Amere de Berthecourt, Beden and Binet Rouge. 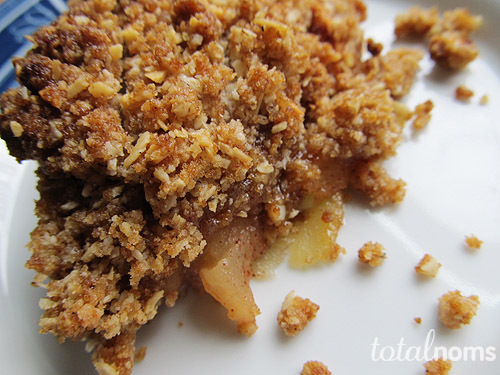 Sweeter eating apples, are used for blending. 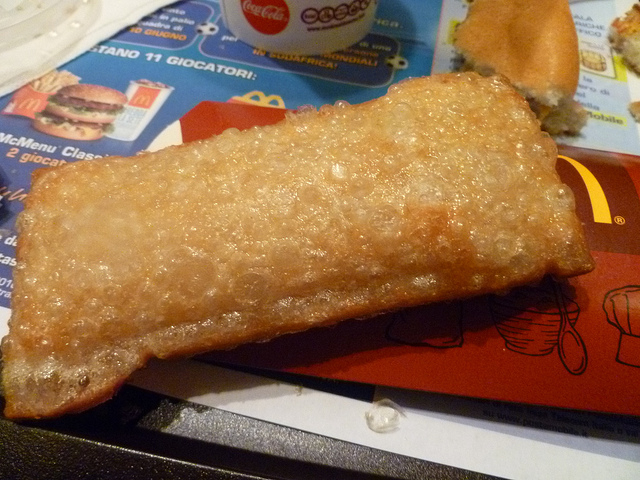 Some examples include Pink Lady, Gala and Braeburn. Many cider apples are also referred to as “ugly apples” due to their often blemished appearance. Thus, the name “Angry Orchard” was born notes Ryan. 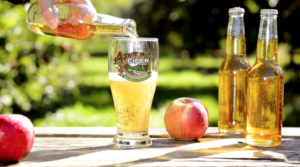 Cider is as American as well, apple pie… Production in this country dates back to the 1600s. Pilgrims brought apple seeds with them when they sailed the Mayflower from England to our shores. Founding Fathers George Washington and Thomas Jefferson were both apple farmers whose plantations produced cider. President John Adams is said to have consumed a tankard of cider with his breakfast. And John Chapman (a.k.a. Johnny Appleseed) helped plant apple orchards in the Midwest from seeds he collected at cider mills. 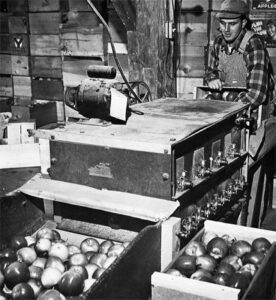 Then, the Prohibition era (1920-1933) saw cider making stop altogether, and later after Repeal, come back very slowly. Now, the twenty-first century is a time of rebirth for the nation’s cider industry, especially in New York. Kite & String Geneva Russet (Western New York). Pairings: cheddar cheese, hamburgers, and sausages. Doc’s Draft Apple Cider (Hudson Valley). Pairings: savory chips, hummus and nuts, roast pork and turkey. Brooklyn Cider Half Sour (Hudson Valley). Pairings: creamy pastas and New England clam chowder. Naked Flock Original (Hudson Valley). Pairings: fresh goat cheese or nutty, soft-ripened cheeses, pumpkin soup. If you want to experience a more bucolic “New York State of Mind” head north of the city for a day or weekend trip to visit some of these Hudson Valley cideries. Check websites for hours of operation and special events.